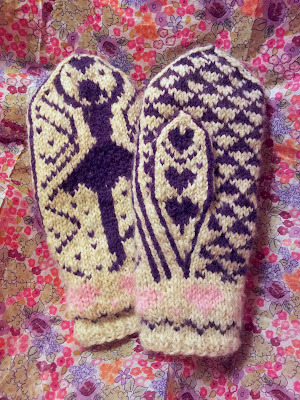 For Emma's big 21st birthday, I made her this pair of dancer mittens by the fantastic French knitter Isabelle Allard. This pattern is a smaller variation of the original adult pattern, which is more elaborate and very beautiful. The mittens were a lovely experiment for mitten-making and colorwork knitting. I began the original adult pattern initially, but exasperated by how excruciatingly long it took to make any progress, I switched to the child's version. On top of this aversion to a grueling project, I am not a particular fan of knitting with double pointed needles because of the seconds of extra fiddling it often involves, so I decided to knit the mittens flat, working back and forth along the pattern. Overall, this worked quite well and did not require many changes to the construction method. When I reached the top of the mitten, I switched to double pointed needles to complete the final decreases. I also knit the thumbs in the round. Were I to knit a second pair of these mittens, I would add an extra neutral stitch to each end in order to preserve the side stripe while seaming. Even when using an invisible seam, the attractive stripe effect was muffled. I used US 3 needles, assuming that they would need to be slightly bigger for an adult, albeit she has small hands. 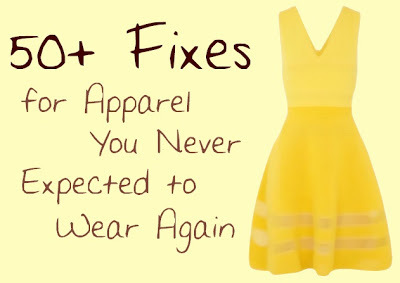 However, if I were to make them again, I would stick with the recommended needle size. They finished a little large. To remedy this - and because it felt nice - I lined the mittens with pink fleece. Overall, the mittens did not take very long to make, considering how amazing they look, and I really attribute it to working flat. There were a few bumps along the way (including making two of the same hand and having to rip one - noooo! ), the pattern yielded wonderful results.